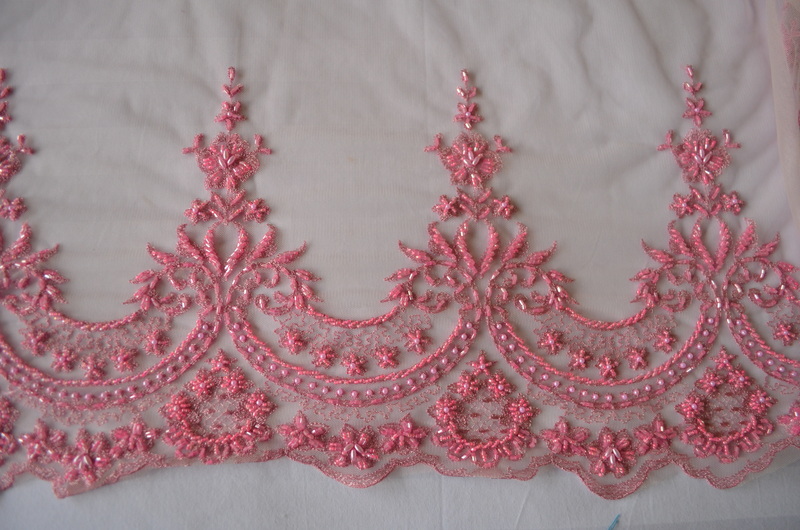 After a brilliant holiday in Indonesia and Malaysia I’m almost home to start on 2014 tutus. 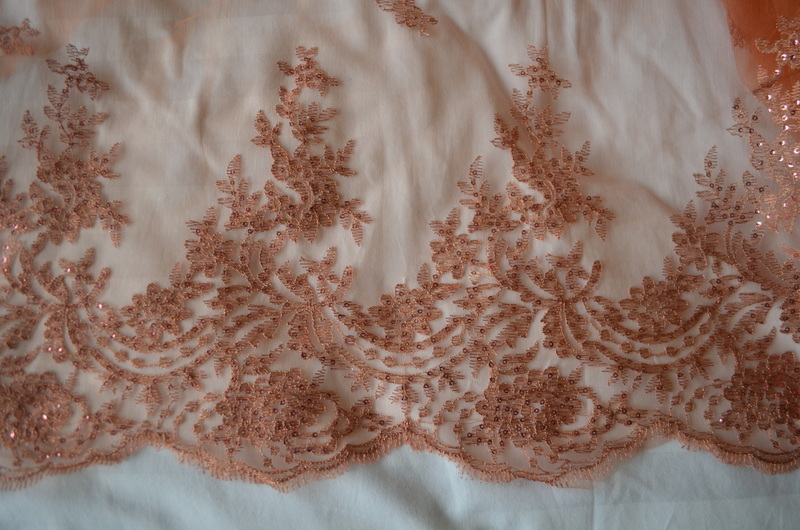 I’ve spent a lovely peaceful day by the pool at my brother’s house in Perth uploading photos and checking emails then I’m off home tomorrow. 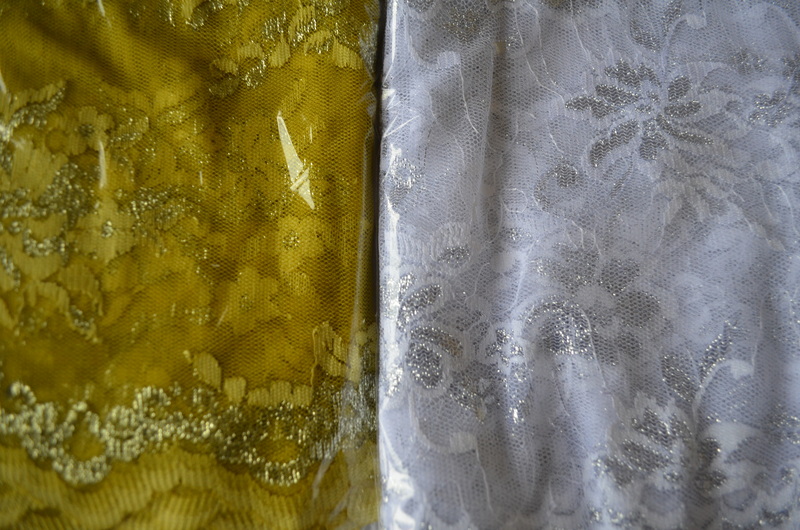 Here are some photos of the lovely fabrics I picked up in beautiful Surabaya. 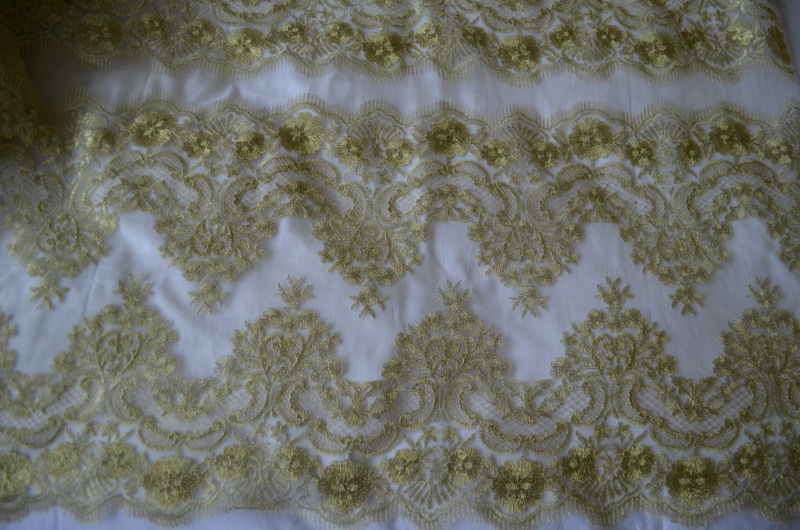 I can’t wait to work with clients to come up with some artisan tutus. 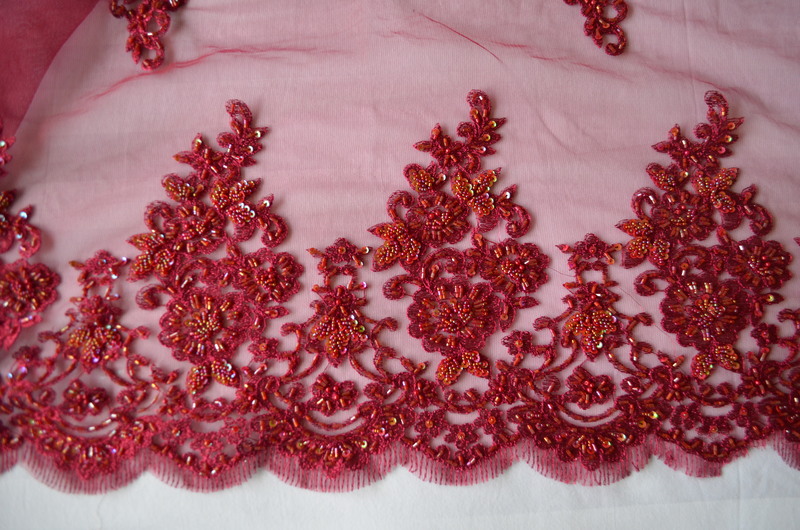 This coral and red french lace was quite a find. 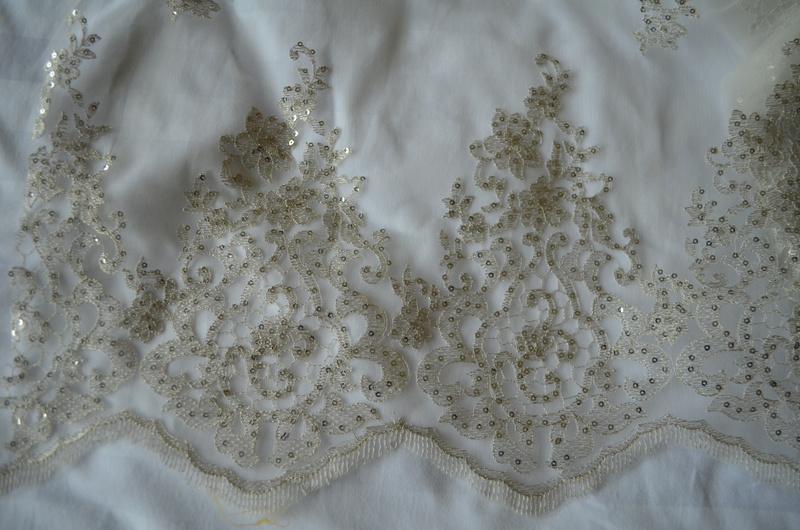 I love this light embroidered net with tiny little sequins. 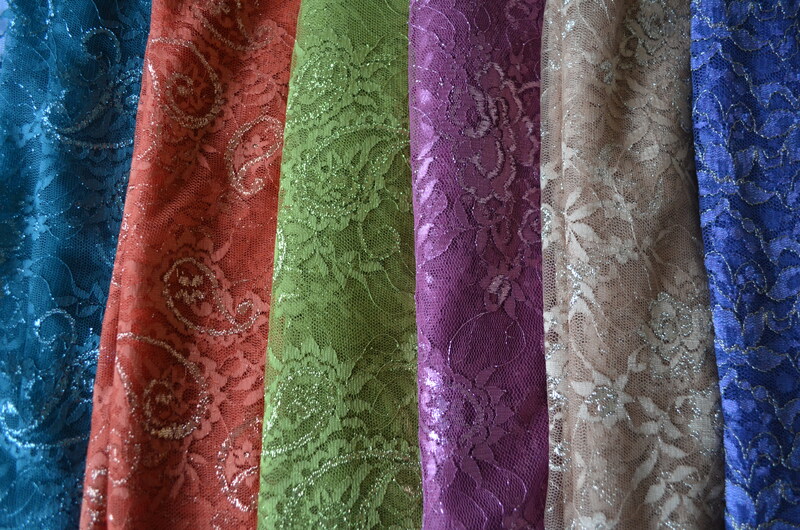 I bought a few colours because it will be very adaptable. 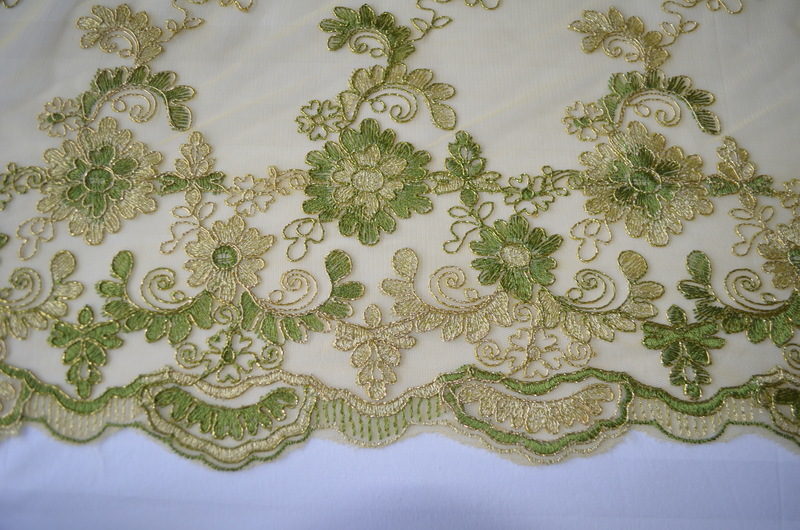 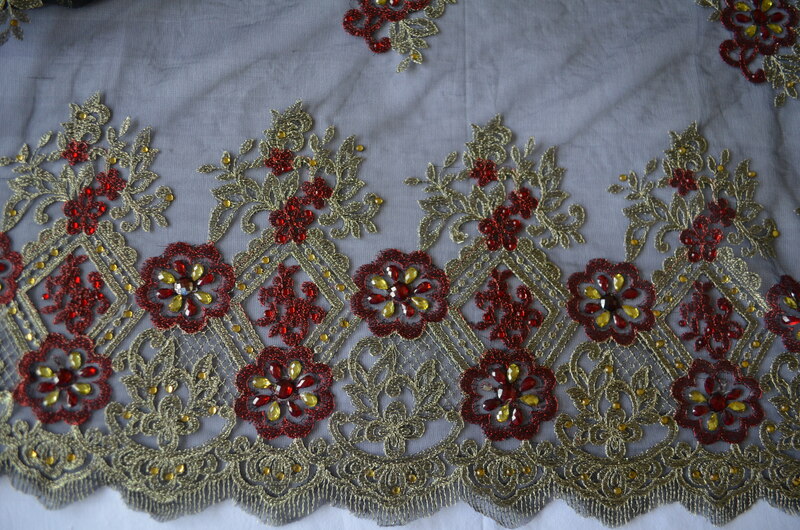 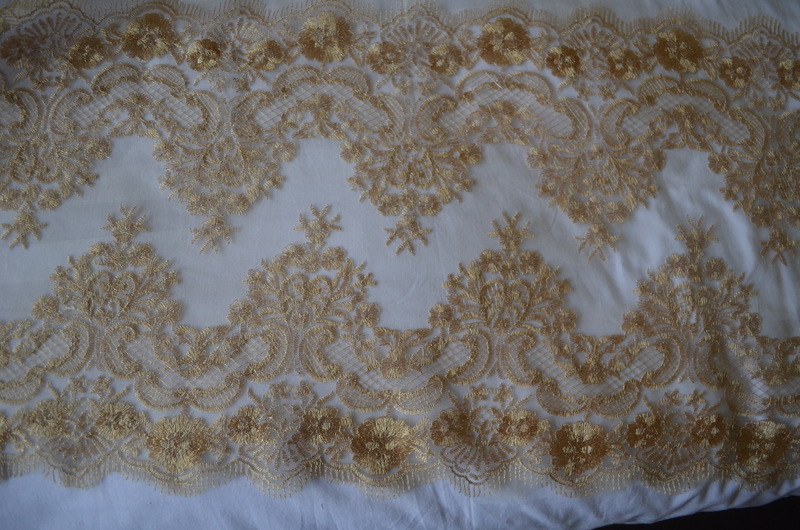 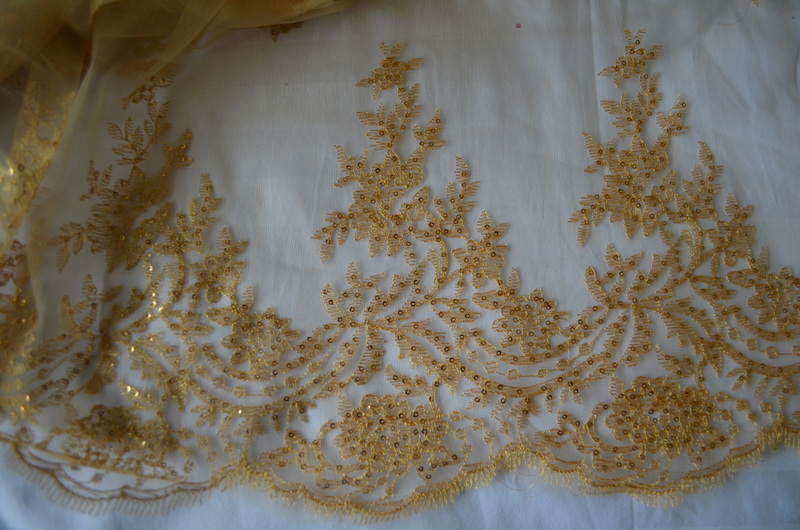 More panelled lace but this time in a lighter gold. 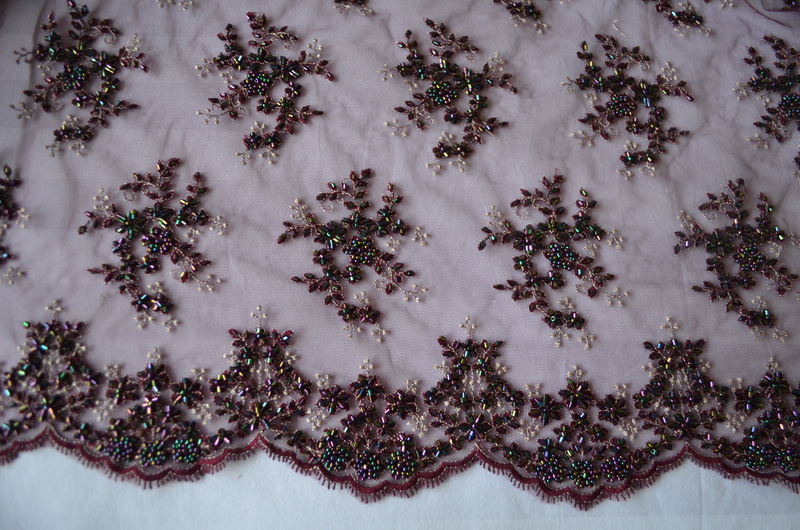 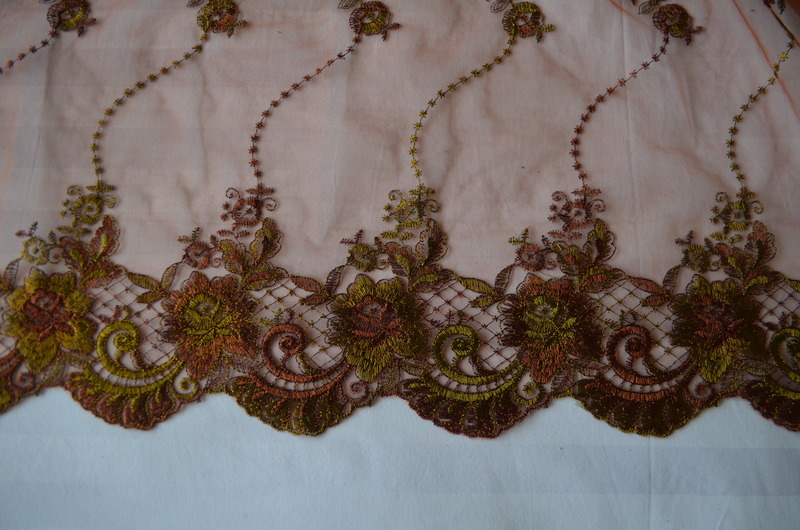 This is a \n exquisite plum coloured french lace with iridescent black beading. 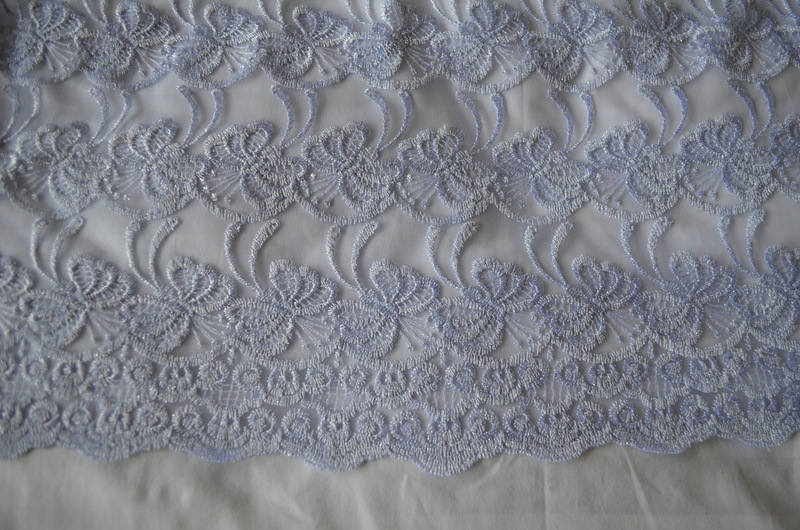 What’s the collective name for chantilly lace … a swathe? 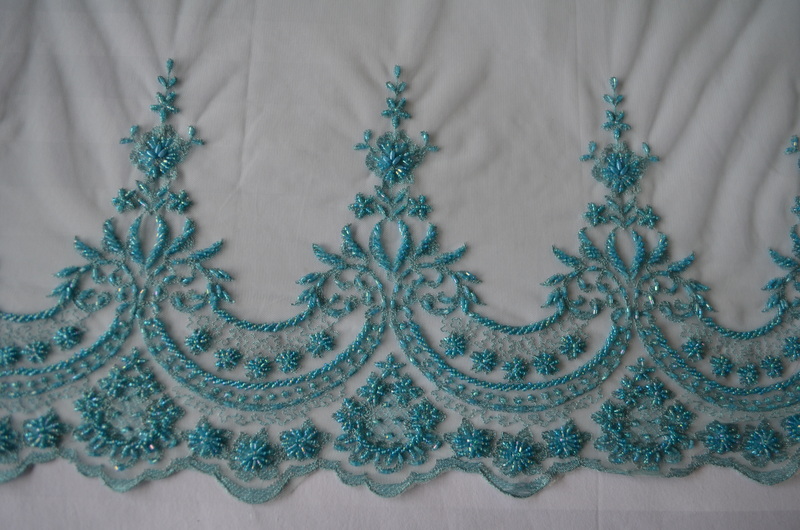 Lovely light lace which will be very versatile.